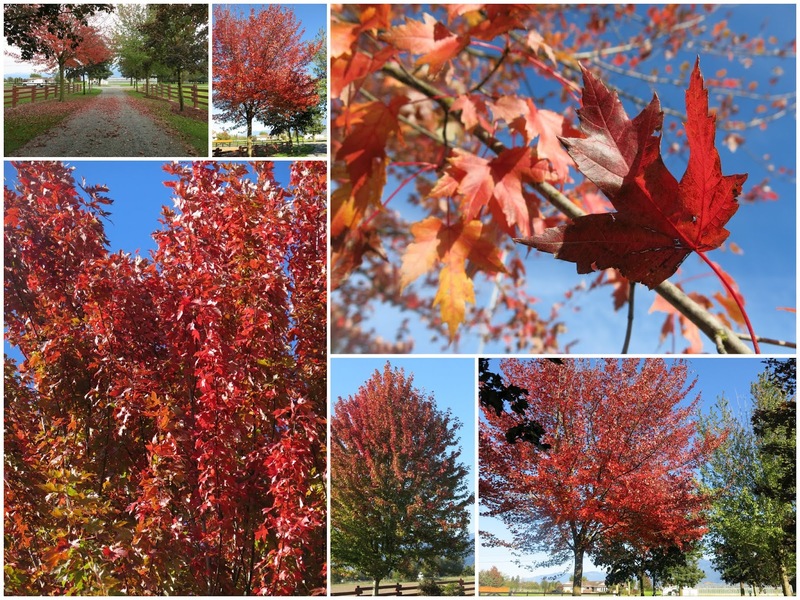 The seasons have just changed again and I've loved watching my red sunset maple turn color. I just seem to enjoy the seasons more and more as they teach us so much about our own changing seasons in our life. Have you ever noticed that leaves are most beautiful just before they drop? Those beautiful bright red, crimson colors. And before you know it, they are gone. I remember one of Chuck Swindolls' devotionals books, Growing Strong in the Season of Life. For a long time I seemed to be in the Spring Season....a season of new-borns, growing families, making financial decisions for supporting education and careers. And soon it became Summer, the season to rest..as now the children were making their own decisions and reaching their own accomplishments. They became independent and found their marriage partners, life's vocations and one by one they left home. Yes, I agree it was restful. And now I can totally identify with the season of Autumm, one in which I have time to reflect and gain new perspective. Its fun to think of memories and make online photo albums and stroll through the back roads of our minds. Its during this season that the foliage changes, the weather changes and so does the time. Reflecting on the years gone by and watching the grandchildren grow brings new life again. I just need to look at my hands and I know what season of life I represent. Now I ask myself, as I look at my own hands. Are they young or old? Soft or calloused? Do they have sun spots? Veins poking out? Often it's our hands that show our age. Over my seasons of life, there have been women who have blessed me with their hands in countless ways. I pray that we can continue to use our hands regardless of their looks or age and continue to bless those around us. My prayer is that I can be just like a red maple leaf....I want to be known as someone who can bring about beauty and strength. In every change, in every falling leaf there is some pain, some beauty. And that's the way new leaves grow. And so we too, can leave a legacy of beauty. During this season, we still have time to encourage and influence those around us. We still have freedom to make choices and decisions. We can still gently guide our grandchildren as we know they are fragile and we have a chance to handle them with care. We can become their spiritual rock during the hard times. And so tonight, I'll go and clean off those muddy footprints and wipe those fingerprints till next time or maybe not. These words are words for every person, in every place, in every circumstance. God has appointed the times and seasons, the events of our lives, the happy and the sad, the easy and the difficult. Let's make the best of each season and every day and know that God will never change his mind about us. Such a great post Marg. I often think of how the seasons have changed for me too and it's good to reflect and to look forward to what is still to come and how we can continue to minister where we can. Nicely said, love and embrace each season of our life. Beautiful! I am of the generation who's battle cry for women was "you can have it all!" It wasn't until I was in my late 40's before I realized what a lie that was. It does nothing but make you feel inadequate...the truth is what you have talked about today...you can have it all, but just not at the same time. Every season of life offers its fulfillment, if only you can see and accept it. I love your "bread for the journey" posts, thanks.